Frances King School of English is a member of Quality English and IALC. Our school in London is accredited by The British Council and a is member of EnglishUK. 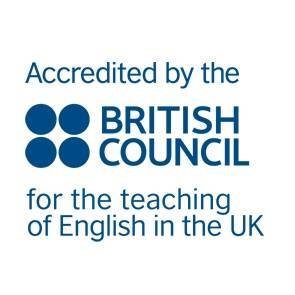 Frances King School of English is accredited by the British Council for the teaching of English as a Foreign Language. The Accreditation Scheme assesses the standards of management, resources and premises, teaching and welfare and accredits organizations which meet the overall standard in each area inspected. There are regulations and guidelines relating to school premises and facilities, teacher qualifications, teaching quality, administration and welfare. We are regularly inspected. Frances King is a member of Quality English. QE brings together a selection of quality English language schools from around the world under one reliable brand. QE selects only established, independently managed English language schools of outstanding reputation. Quality English schools offer exceptional service, unique character and a fine course choice. Click here to visit the Quality English website. Frances King is also a member of the International Association of Language Centres, an award-winning association of leading independent language schools worldwide that teach the language of their country. Inspected and quality assured schools, all accredited by IALC. Click here to visit the IALC website. Frances King is member of EnglishUK and follows the EnglishUK Code of Practise. Click here to visit the English UK website.